Before arriving in Livingstone, Zambia, Margaux, Hélène and Laura from Belgium held multiple fundraisers to support The Happy Africa Foundation and African Impact. They stepped out of the box and fundraised through unique projects. But how? The three hosted their 18th birthday party where all “presents” resulted in donations, sold melo-cakes to family and friends, and had a soccer match between the students and teachers where all proceeds went to sponsoring two children in the Sponsor a Child program. Additionally, they received more donations from reaching out to other organizations and receiving the Young Women in Public Affairs Award. Wow! Margaux, Hélène and Laura’s dedication demonstrates just a few of the many great fundraising opportunities that are out there. Join their fundraising efforts today! 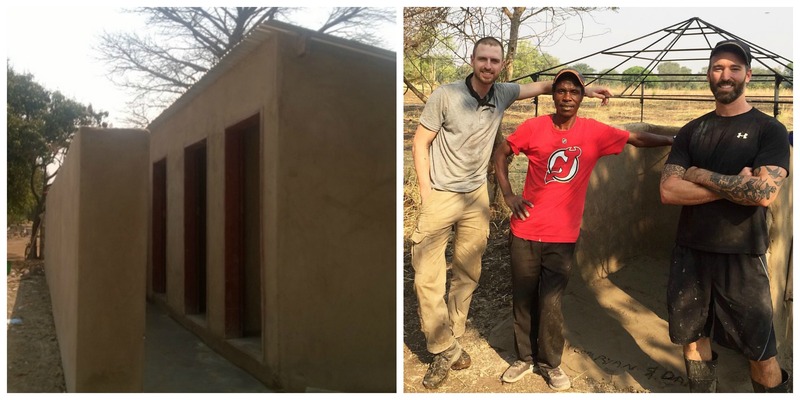 Dan and Ryan from New York raised an incredible $15,000 before arriving in Livingstone, Zambia to volunteering with African Impact on their building projects. Through sharing their stories by social media and setting up a crowdfunding page, many viewers wanted to make their own impact through donating. Their fundraising efforts will directly affect Linda Farm in building a new Ablution block, completing a playground, and supporting Zambezi Sawmills School. Due to sharing Happy Africa’s mission before taking off for Livingstone, these two dedicated volunteers impacted three communities! In July we had the pleasure of welcoming GlobalGiving staff member Aleia Bucci to Zambia. Aleia spend time with African Impact and ourselves visiting some of our projects in Livingstone. Her is her story about her time with us. ‘African Impact, an organization that connects volunteers to local projects in Africa, has been around for over 10 years, running projects in 12 different countries and enabling over 12,500 volunteers. The Happy Africa Foundation, established in 2008, exists to manage donations received from the volunteers working on projects for African Impact. The two organizations maintain a close partnership, with Happy Africa funding numerous initiatives and programs where African Impact has projects. African Impact projects are evaluated using a detailed scorecard which includes analyzing long-term viability and impact of the project. Additionally, each project has local community stakeholders, ensuring that the projects are completed in the best interests of those who are benefitting. In Livingstone, Zambia, African Impact runs multiple projects: teaching assistants, after school activities, reading club, art club, math club, remedial classes, girl impact/empowerment, adult literacy, sports, medical clinics, home-based care, elderly care, health talks, litter picking, and building/construction. As such, there are typically many volunteers cycling through this location. I was lucky enough to be able to spend a lot of time with the volunteers and staff at African Impact – the hostel I stayed at in Livingstone serves as their base, and I stayed there close to 3 weeks. There is a minimum 2-week commitment for volunteers, but most stay around 4 weeks and some even longer. The volunteers are organized by project coordinators who work tirelessly to ensure the volunteers know where they are going and when as there are morning and afternoon sessions for most projects. The coordinators also ensure the volunteers are prepping for their project visits in advance, deal with any issues that arise, and organize all of the logistics (including meal times, transportation, weekend activities, and curfew). Volunteers can range greatly in age depending on time of year, but since it’s now summer break for many universities, most of the volunteers were on the younger side. They come from all over the world, so it was nice to see so many cultures working together seamlessly. During my official GlobalGiving site visit, I went to the Zambezi Sawmills Primary School. African Impact has been working here for about 6 years and places volunteer teachers in the classrooms. There are close to 600 kids at this school but only 5 classrooms so most kids are only able to attend school for a few hours per day as they must operate on a staggered schedule to accommodate everyone. Happy Africa has recently renovated an existing classroom block and are raising funds to build additional classroom blocks to help with the overcrowding situation. Zambezi Sawmills is a community school, serving only grades 1-7, and therefore does not receive any government funding. By adding more classroom blocks, the school will be able to accommodate grades 8 and 9 to achieve basic school status and begin to receive government funding. This additional source of funding will help the school become more self-sustainable. Another project helping the school to become self-sustainable is a garden. Here, the students are helping to grow their own food for meals while learning about agriculture in the process. Happy Africa also helped fund a borehole at this school so they now have access to safe water. There are over 70 languages spoken in Zambia, but only 7 are officially taught in schools across the country. This means that for many, school is not taught in their native language, adding another barrier to learning. African Impact created and implemented a Happy Readers scheme, designed to help kids whose second language is English. The teachers use this scheme during their regular classroom teaching, with the help and support of the volunteers. African Impact also organizes a reading club twice per week to help kids further their reading skills. During my time in Livingstone, I also went on a project visit to see what it was like to volunteer with African Impact for the day. The project I visited was a girl impact session held at one of the local schools. The organization has an incredibly thorough manual of what to teach at each of these weekly sessions and the topic during my visit was saving money. The volunteers took turns teaching the lessons interspersed with activities for the girls to complete. It was really great to hear them share their thoughts and experiences with money and the amount of giggling during the activities seemed like they were enjoying it as well. At the end of the session, the girls all wrote on a chalkboard what they wanted to save their money for. One of the most eye-opening items for me was a girl who wanted to save enough money to see Victoria Falls. This girl has spent her entire life living 5 minutes from the Falls, but has never been able to see it. We are in the last stages of fundraising. To help us achieve our goals go to GlobalGiving to donate on donate through our website. Two months ago the Dumela Bar got moved into what used to be the Reception to make space for the brand new project office. With the move the opportunity arose to expand on the bar activities by adding locally produced souvenirs to the assortment. Now two month later we have a total of 6 local partners of which one is a weavers collective that employs ten local women. The first thing you see when you visit the Dumela Shop are the background stories of our contributors. Next to the each story a picture of the contributor can be found accompanied by a number that corresponds with the first number of the product code which can be found on the price tag. This way customers can easily find out who the crafter of their purchase is and what their stories are. The concept of the shop is that crafters can contribute their crafts to the shop for a set period of time, determined by the crafter. Our job is then to try and sell their pieces of craft within that period of time and if we manage to sell their product they will receive their payment, otherwise we will return their products. This way the crafter does not have any risks on his side and on the long term this system will tell us and the crafters which product are in high demand and therefore which products the crafter can focus on to produce. The crafters we work with are not chosen by coincidence. All of our contributors are highly skilled but struggling to place their products on the market. Through our contact and the lessons we learn by selling their products at Dumela we can assist in their market development. Currently our product range includes stone and metal sculptures, table cloth and runners of different sizes and designs, different types of rugs and carpets, bags and many other products. Our vision for the future is to find more ways to expose our contributors. With the knowledge we gain from selling their products at our shop we could eventually approach other lodges and markets, and thus hopefully secure a sustainable income for the local crafters. We would also like to make use of this opportunity to once more thank everyone who was involved in creating the shop. To the volunteers who purchased goods at the shop thus supporting the local community and to all the volunteers who brought donations with to the Dumela Lodge, your donations are very much appreciated! Our new Zanzibar intern, Lauren, wanted to use her skills, to travel and gain a tan that didn’t come from a bottle! She was searching for an opportunity that combined working in a charity with an amazing destination. What really drew her to this particular internship was our projects. “Two weeks ago I packed up and left my home country of Ireland to join The Happy Africa Foundation as their sustainable development intern in the beautiful island of Zanzibar. The Happy Africa Foundation (THAF) is responsible for managing donations and allocating funds to African Impact focal projects such as building the community center in Jambiani or supporting the conservation club in Kizimkaze. Over the next 6 months I will work closely with African Impact’s teaching and marine projects to identify areas that require financial support and organize fundraisers for these projects as a result. African Impact’s motto “Explore, Inspire, Impact” and it is that exact promise that drew me from my comfortable corporate life in Ireland to the pole pole of Zanzibar. Einstein said “Only a life lived for others is a life worthwhile”. With this in mind and adventure at heart, I hopped on a plane to Zanzibar. I had never been to Africa and I had no idea what to expect but with I can safely say it was the greatest decision I have made. While I expected to give my time and skills I never expected to gain so much in such little time here. My first two weeks has taught me a huge amount on life in Africa. Everyone has extended their karibu to me with smiles and the THAF and African Impact team have made me feel at home away from home. It is heartwarming to see the honesty and kindness of the local people of Zanzibar. I believe understanding and supporting the local people and communities is essential to a sustainable impact. I hope to spend my time getting to know the community and how I can best contribute during my time here. This week I joined the Marine Conservation project and I will be taking part in the Dolphin, fisherman and boat driver data collection as well as teaching the conservation club. I feel unbelievably lucky that I have the opportunity to be in the presence of such intelligent beautiful creatures and I feel that it is our responsibility to protect them. I am also excited to teach the conservation club as it is driven by the huge interest of the young people. I came to Livingstone initially for 6 months not knowing what I would find in a country I’d never been to and a charity I didn’t yet know much about. I was excited and I was nervous, but I hadn’t even begun to imagine what an amazing experience this would be. This month in St Lucia we were able to take our ‘After School Club’ children on an Educational Trip to Kwazulu-Natal Wildlife Crocodile Centre. The children were able to build their knowledge on anti-poaching and general conservation for the beautiful animals we share our home here with in St Lucia. African Impacts Girl Impact volunteer, Alison Vorsatz, explains the importance of how gender equality needs to begin from a young age. One of the weeks themes was all about breaking out of the box and making the children realise they can dream to have a career in whatever they would like. In Cape Town, the Easter holiday signaled the years first extracurricular enrichment trip with Grandmothers Against Poverty and AIDS (GAPA). Over four days from 29th March – 1 April The Happy Africa Foundation, in partnership with African Impact, planned two unforgettable experiences for the children. 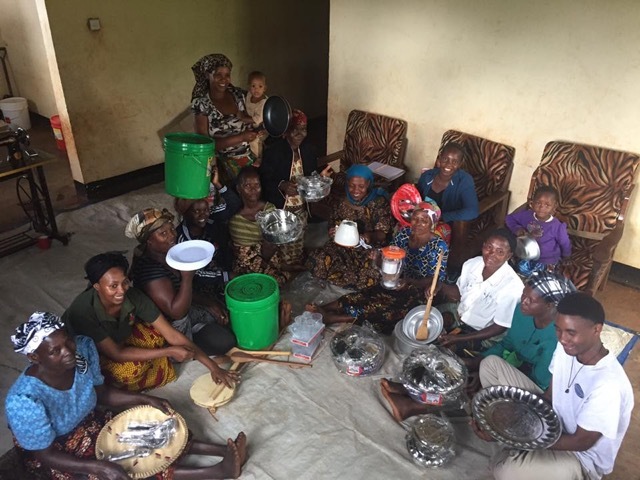 Toby Childs spent a week volunteering with African Impact at Langoni Old Peoples Home to get a better understanding of their program and impact.